Here are Christmas ideas for your winter holiday tables. Modern trends in decorating for Christmas bring creative designs, new color combinations, and unique DIY ideas, perfect for adding originality to your winter holiday decor. Changing accents in your holiday tablescapes and mixing textures or colors are great ways to enjoy beautiful and stylish holiday decor you can create for every celebration. 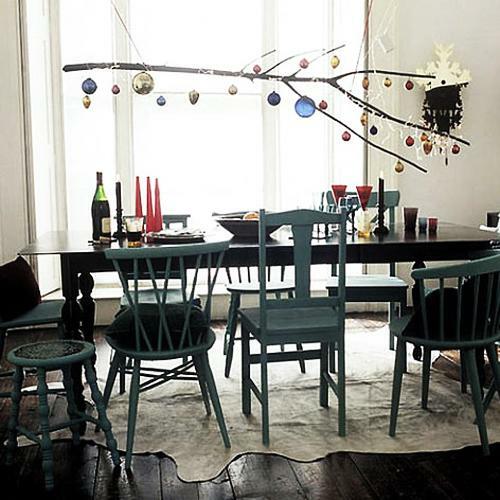 If you are looking for something new and different, check out the Lushome collection of decorating ideas for winter holiday tables. 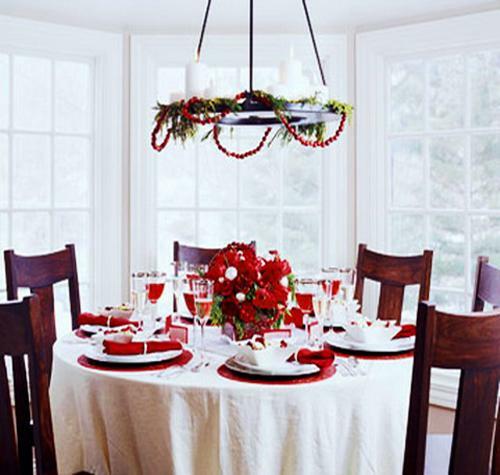 You will love the elegant simplicity and creativity of the table settings that you can use for your Christmas decorating. 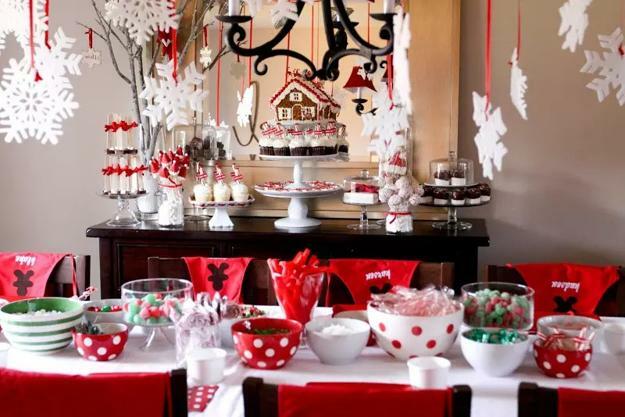 Modern holiday tablescapes and vertical accents, paper crafts and winter branches, traditional and original Christmas themes, patterns, colors offer numerous ways to style and brighten up winter holiday tables. 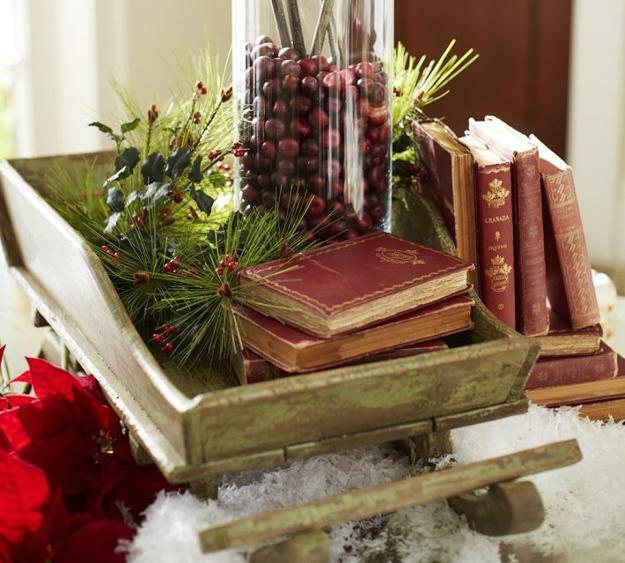 Try one or all Christmas ideas following the beautiful trends in decorating. 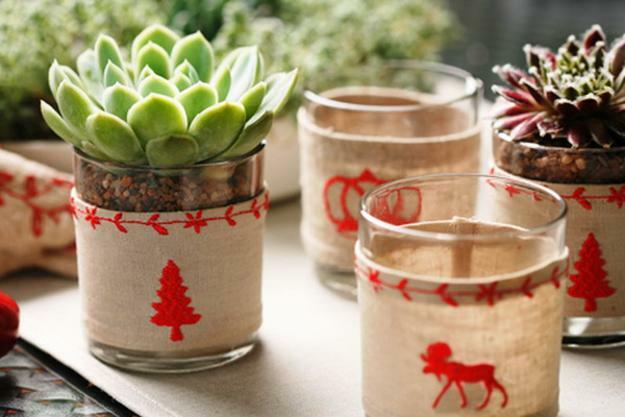 Get inspired, stretch your winter decorating in all directions. 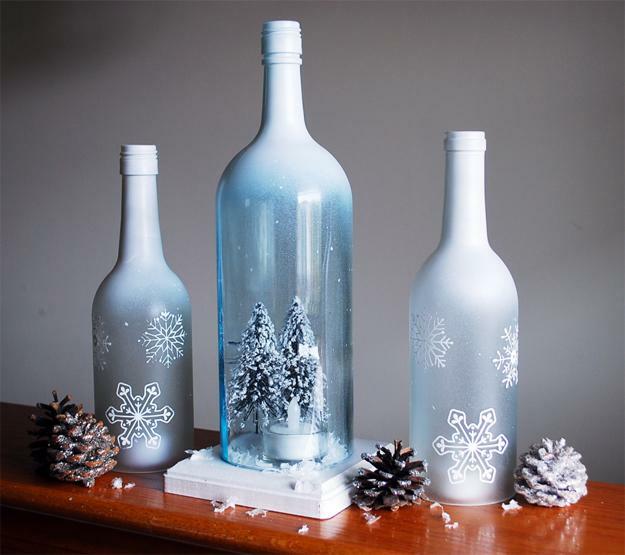 Add winter accents to your ceiling and chandeliers, decorate candles, wine glasses, and bottles. Create spectacular dining room displays and enhance your holiday tablescapes with original, surprising accents. 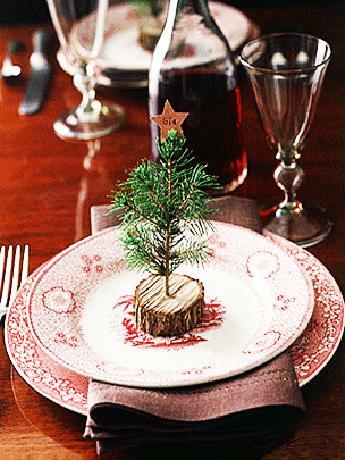 Miniature Christmas trees, paper crafts, snowballs, and snowflakes are hot Christmas themes for holiday table decoration. Birds decorations and feathers can add a unique look to your Christmas table setting. 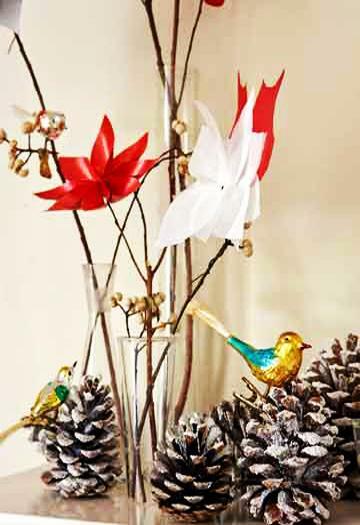 Spring birds, winter birds, owls are hot Christmas trends in decorating tables. 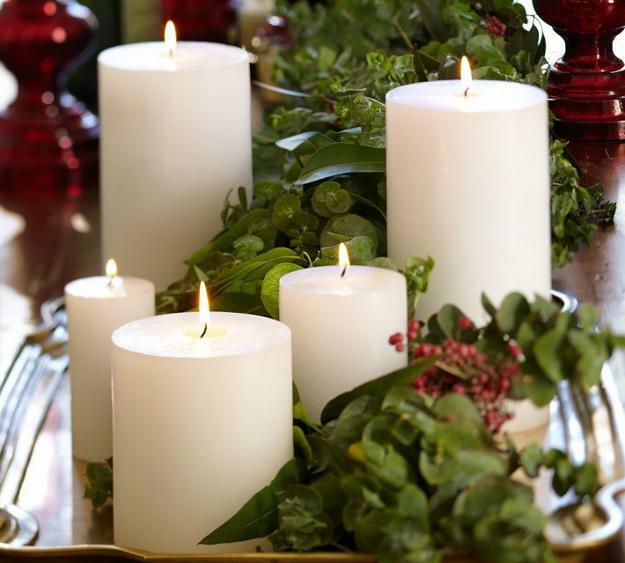 Subtle Christmas colors and bright accents create elegant, nature-inspired Christmas tablescapes. 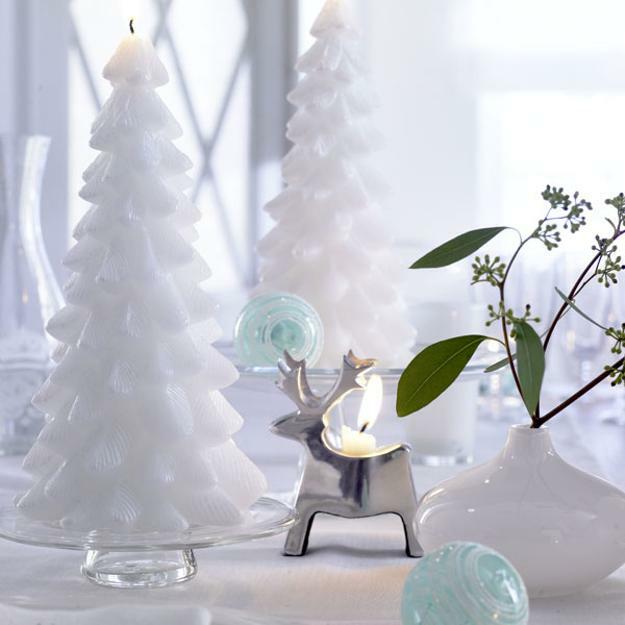 Branches in decorative glass vases make beautiful Christmas table centerpieces. You can add berries, winter flowers, and birds ornaments to color and personalize your creative and inexpensive holiday decor. Christmas snowflake, snowballs, hearts decorations, and star paper ornaments are lightweight and easy to hang above your holiday table. 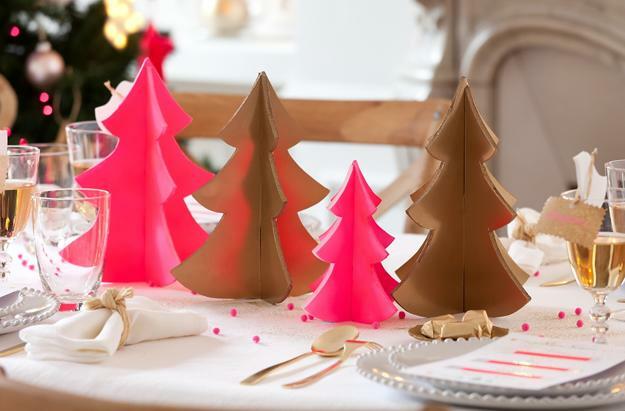 Make paper crafts in different colors, patterns, and sizes and hang them at varying heights in your dining room. Flowering plants, succulents, and fresh flower bouquets make beautiful table centerpieces that add an elegant Green vibe to holiday tables. Go beyond your dining table and think about the area over it. 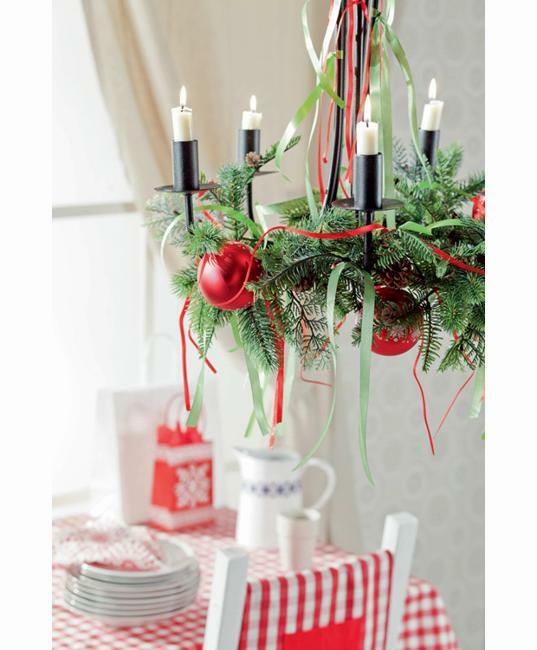 Hang items from your ceiling or chandelier to add some whimsy and wonder to your Christmas table. If it is not possible to hang winter ornaments and branches from your ceiling or chandelier, try decorating ideas with balloons. 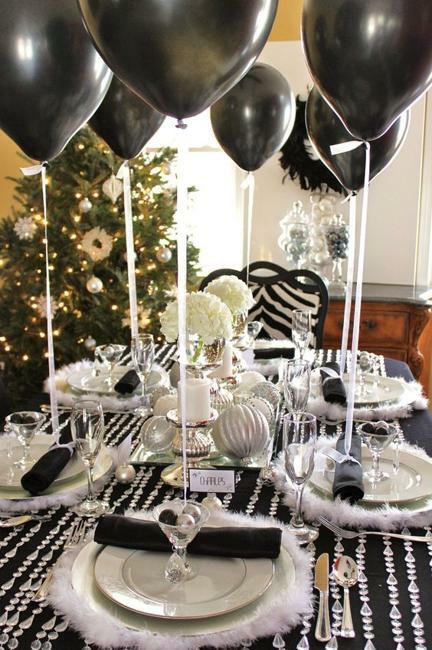 Black and white balloons with ribbons make excellent vertical table decorations. 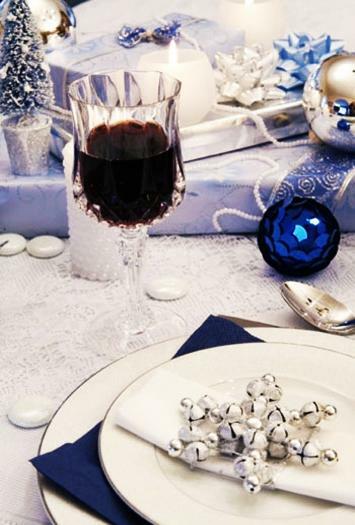 A black and white Christmas table is a sophisticated way to celebrate the winter holidays. Adding silverware and metallic accents bring chic and elegance into the contemporary tablescape. 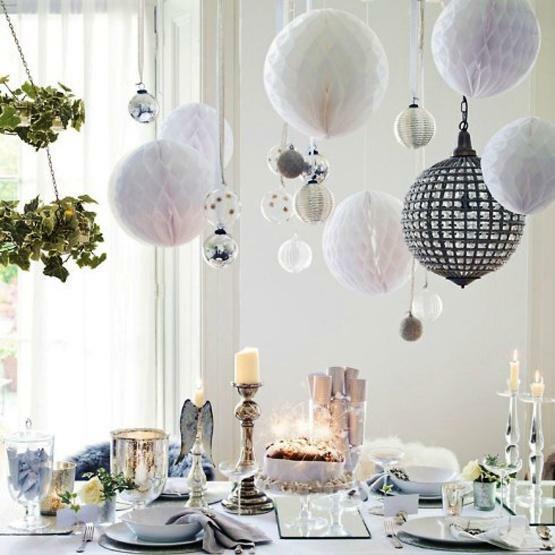 Black and white Christmas decorating ideas are timelessly stylish and elegant. 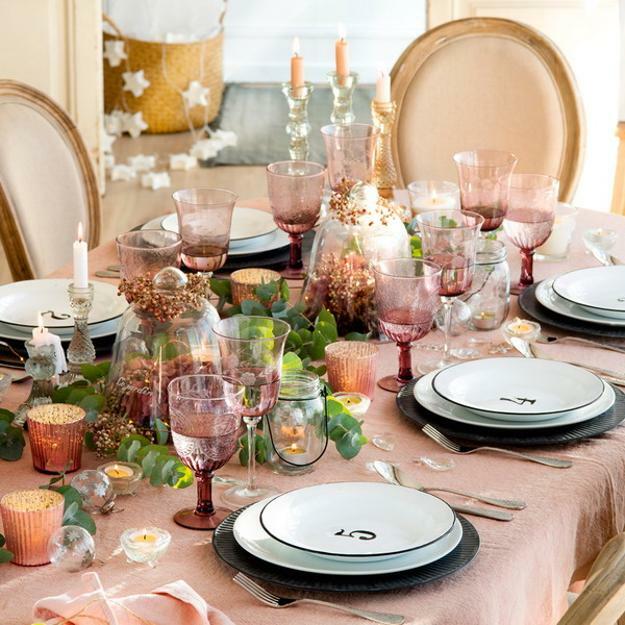 Modern soft pink, indigo blue hues, and light pastels offer sophisticated, chic color design choices for festive and stylish holiday tablescapes. Break away from traditional red and hunter green table settings and create a unique Christmas color scheme for your table decoration. Bright colors and unexpected color combinations are perfect alternatives to traditional Christmas colors. Select one of modern color and add your favorite hues. 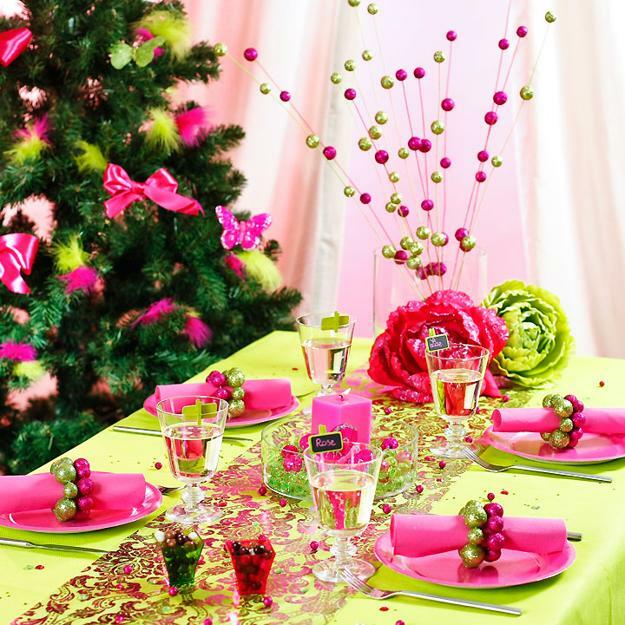 You will love seeing the creative, unusual, and bright Christmas colors on your holiday tables. 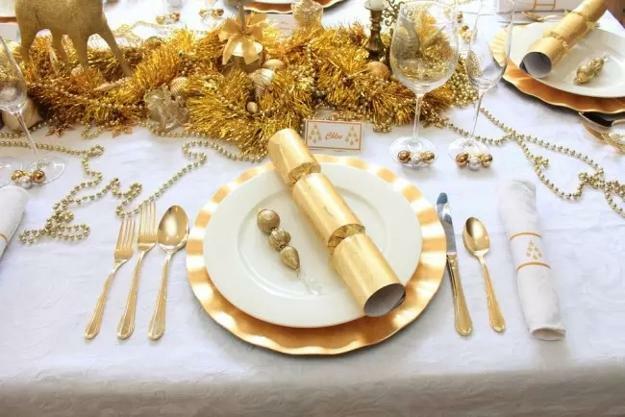 Silver and golden colors are beautiful Christmas trends that are hot, as always. 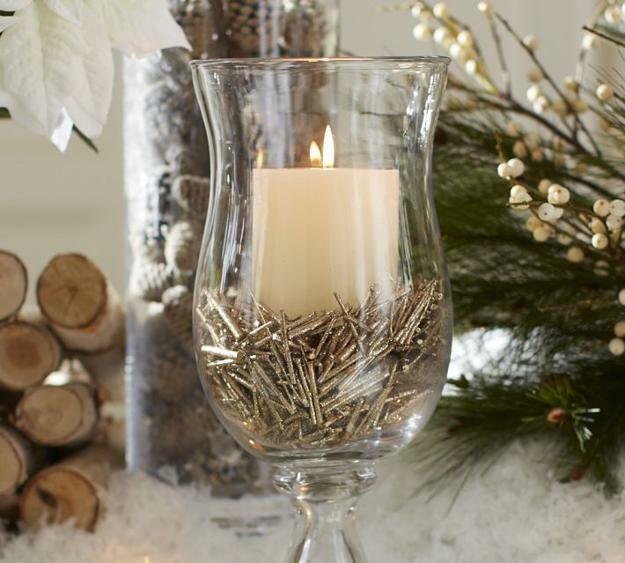 Polished metals, ceramics, colored or clear glass, and crystals add the sparkle to Christmas table decor. Mixing textures and finishes creates interest and gives depth to spectacular table decoration. Metallic accents bring a fresh vibe into Christmas decorating and work the best with Christmas lights and decorative candles. Polka dots, stripes, zigzags, check and plaid Christmas patterns are the latest trends in decorating that create attractive contrasts and brighten up Christmas color palettes. 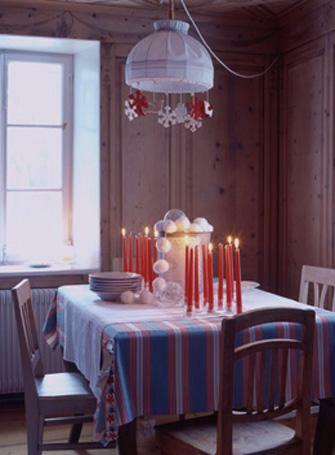 Plaid patterns and other geometric designs are the current trends in decorating holiday tables. Geometric patterns are versatile and exciting. They look beautiful with vintage decor and contemporary table setting ideas. 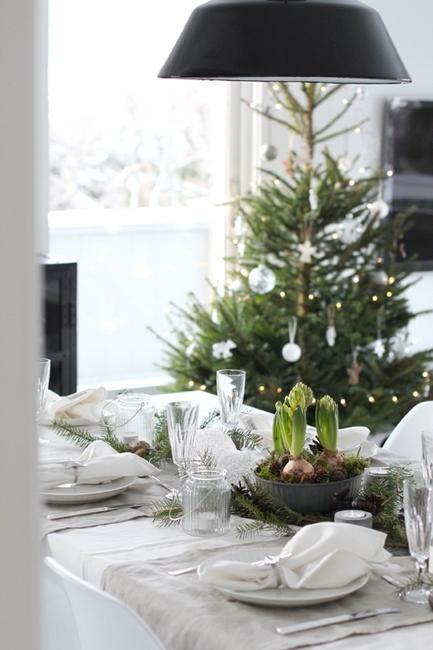 A smart way to pull together modern Christmas patterns is a creative combination of table decorations, dinnerware, and accessories. 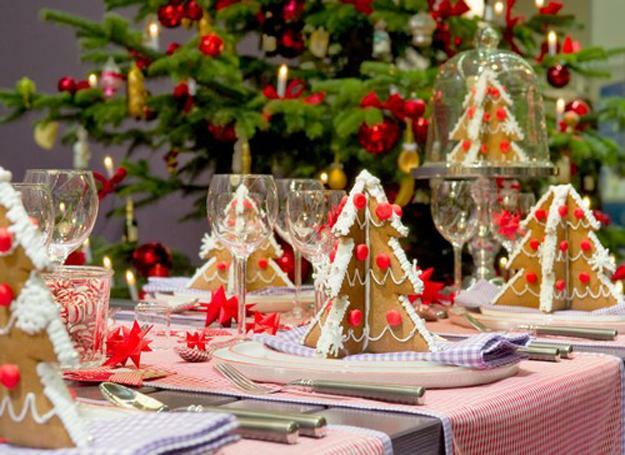 Edible decorations, like gingerbread Christmas trees, handmade candies and cookies are excellent accents for winter holiday tables.